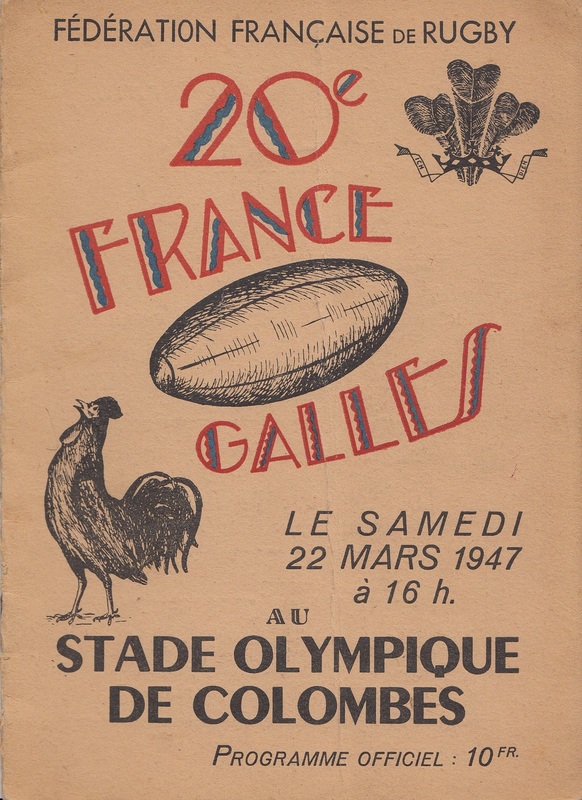 Welsh team pack leader Bill Tamplin won his hardest match of the season with a tremendous penalty goal from just inside the French half shortly before the interval. In a game charged with fierce tension, Cliff Davies had his little finger bitten to the bone. Tackling by both sides was shattering. Glyn Davies could not play because he had injured his knee in an army game, so Billy Cleaver made his first appearance in his best position of fly half. 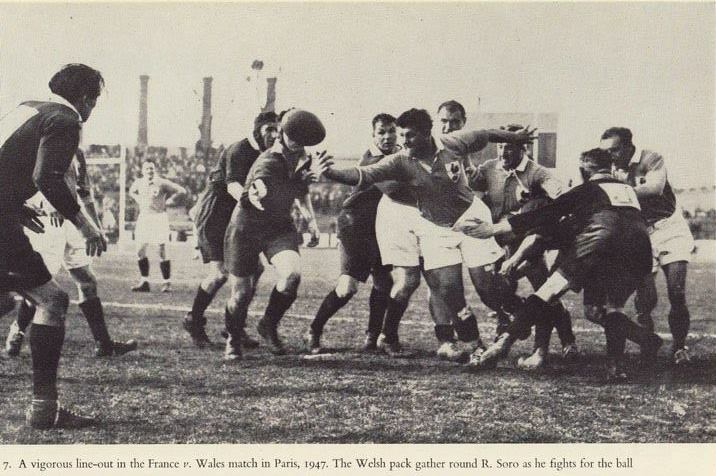 It was the first match for brilliant Bob Evans, the Newport wing forward, who was to win 10 caps. George Parsons, the Newport second row forward, chosen to play, was sent home when he boarded the train. The WRU had heard rumours that he was negotiating with Rugby League representatives. Parsons protested his innocence, but never played for Wales again and within a year turned professional. If you have any memorabilia relating to this match please get in touch.